The Kenyan government issued a Gazette notice in 2009 stating it would privatize the port of Mombasa in order to enhance Kenya’s regional competitiveness and facilitate investment and economic growth. This was however met with much opposition with Members of Parliament from the coast being on the forefront. Dockworkers who held demonstrations last year opposed the move to privatize the facility citing that they would lose their jobs. The former Government spokesperson Dr. Alfred Mutua later announced that the government would not privatize the port and would continue operating as it was. 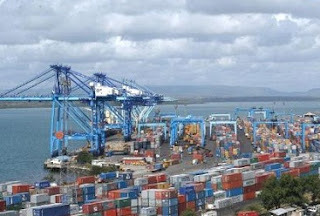 Now the Secretary General of East African Community, Richard Sezibera has disclosed that the move to privatize the ports of Mombasa and Dar es Salaam as regionally owned ports under the management of private players is in its advanced stages. While speaking at the Secretary General’s private sector CEO’s forum in Kampala this week, he said that the move would create competition, which will reduce the cost of doing business in the region, and eventually increase investment and economic growth. The Society for International Development (Sid) made a survey, earlier this year and recommended that the ports should be declared “East Africa hot zone” and be given independence to ease their operation. This will in turn ease the serving of EAC member states and neighboring landlocked countries such as South Sudan and DRC (Congo).